With six months and change still to go until November 8, you’ve probably learned more this election cycle than you ever hoped to hear about loony wall-construction-financing schemes, losing unspecified competitions to China, and/or the self-reported approximate dimensions of a certain candidate’s genitalia. The entire spectacle has been hilarious and delightful, even if our grandchildren will immediately conclude that we’ve gone senile when we try to tell them stories about it someday. Often drowned out in this cacophony of absurdity, though, is the fact that 34 Senate seats will ALSO be decided in November. And from a practical, will-anything-get-done-in-Washington-this-decade perspective, control of the legislature matters just as much as holding the White House. In the current Congress, 54 Republicans maintain a narrow majority in the Senate, but 24 of this fall’s 34 contested seats are occupied by Republicans. Come Election Day, if millions of Americans terrified by the prospect of a Trump Caliphate turn out to vote Democrat, the GOP could lose not only its White House bid, but also its Senate majority, too. Will it happen? Maybe! Let’s take a closer look at the senators on the chopping block. What to know: Charming Southern gentleman. Opposed making Martin Luther King, Jr. Day a national holiday. Challenger(s): Someone named “Ron Crumpton,” who is probably a nice man, but is not going to beat a Republican incumbent in Alabama in 2016. Should you pay attention? No. Don’t worry, some of these recaps will go VERY quickly. What to know: Perhaps the greatest beneficiary of unabashed nepotism in legislative history. Murkowski ended up in the Senate in 2002 thanks to her dad, Frank, a then-sitting senator who won Alaska’s gubernatorial election and used that newfound authority to appoint HIS OWN DAUGHTER, a two-term state politician who failed the bar exam four times, to HIS OWN UNEXPIRED SENATE SEAT. Rachel Maddow would explode on live TV if this happened today. Challenger(s): Not Sarah Palin, so who cares. Should you pay attention? Frustratingly, no. No Democrats have even declared. Seriously, Alaskans? Not one of you thinks you could do better than this lady? What to know: Somehow turns only 80 this year! I would have set the over/under at 239.5. The original maverick keeps on keeping on, despite more strongly resembling Clint Eastwood’s character in Gran Torino in both appearance and demeanor every day. Challenger(s): Democratic congresswoman Ann Kirkpatrick, but she will not win. The action, if any, will come from a Tea Party challenge from one of Arizona’s many batshit right-wingers. State senator and chemtrails truther Kelli Ward is in, and rumors persist that Sarah Palin (you knew she would be involved somehow) might rudely challenge the man who made her famous. Should you pay attention? Nah. Palin has bigger plans for 2016: a Judge Judy-style reality-TV show that will, by itself, make your outrageous cable bill totally worth it. What to know: Vaguely reminds me of an older, bigoted Peter Griffin. Voted against renewing the Violence Against Women Act, repealing Don’t Ask Don’t Tell, and ratifying an international human-rights treaty on the treatment of the disabled. He is not a nice man. Challenger(s): Conner Eldridge, who is so committed to this election that he sacrificed his sons’ spring break for what sounds like the worst vacation ever: a road trip across Arkansas. I can’t imagine how many doors in the Eldridge household were slammed over that one. Should you pay attention? No. Boozman is going to win, and much like the last 10 years of Family Guy, it will be terrible. What to know: Here we go! Barbara Boxer is retiring after more than three decades on Capitol Hill, and since California last elected a Republican senator when Steph Curry was in diapers, its Senate seats are big prizes for would-be Democratic politicians eyeing a lengthy, secure career as a legislator … or MAYBE MORE. Contender(s): Kamala Harris. 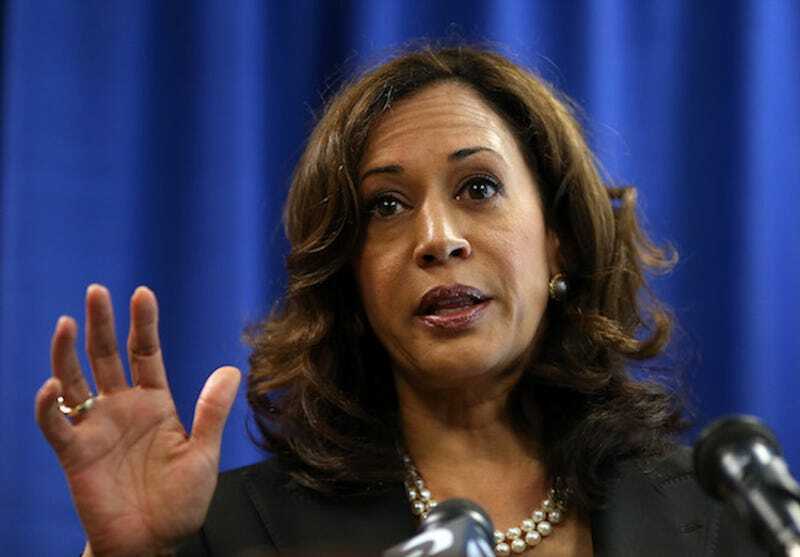 Currently the state’s attorney general, Harris has done good things like pioneer the California Homeowner Bill of Rights, a package of innovative laws (since emulated in Nevada and Montana) that help borrowers avoid post-housing-crisis foreclosure. Harris’ diverse background and popularity among young voters have invited comparisons to another former upstart Senate candidate who has since done, um, quite well for himself. Should you pay attention? For sure. Harris comfortably leads in polls and will win in November. But follow this race anyway, because she is also on the short list of future presidential candidates, assuming the Trump Caliphate still deigns to hold elections in 2020. What to know: NOT the Seahawks defensive end. Common mistake. Challenger(s): State lawmaker and Air Force vet Jon Keyser is reportedly the national party’s choice. But officials announced Monday that Keyser managed to fall 86 signatures short of the threshold for appearing on the primary ballot. Unless Keyser wins his appeal, this will almost certainly be the funniest way that anyone loses an election this fall. Meanwhile, El Paso County Commissioner Darryl Glenn made the ballot by winning the GOP state convention earlier this month. Glenn’s strengths include a distinguished Air Force career and gigantic arms; weaknesses include an insistent reliance on a shirtmaker who deserves jail time for his views on cuff length, and an apparent willingness to tout endorsements from house pets on his website. Should you pay attention? Yeah. Colorado sports one of the lowest Cook Partisan Voting Indexes in the country and nearly always has competitive statewide elections. Although Bennet is fairly centrist, another moderate Democrat from Colorado, the shockingly handsome Mark Udall, lost his Senate seat to the significantly less good-looking Cory Gardner in 2014. Mark, if you’re reading, I miss you so much. What to know: Created in a laboratory to be a United States senator, Blumenthal graduated from Harvard College and Yale Law School, spent six years in the Marine Corps reserves, and then served as Connecticut’s U.S. attorney and attorney general. All that effort just to trounce Linda McMahon (yes, that one) in 2010. What a waste. Challenger(s): August “Augie” Wolf, a former Olympic shot-putter with an amazing name, a logo that shrewdly capitalizes on the state’s affinity for snow dogs, and zero chance of winning this safe Democratic seat in November. Should you pay attention? No. Contender(s): A BUNCH of dudes. The highest-polling Democrats are congressmen Patrick Murphy and Alan Grayson. Party leaders favor Murphy, probably because Grayson does things like compare the Tea Party to the KKK, which is one of those things that everyone thinks but knows not to say OUT LOUD, for God’s sake. Across the aisle, Lieutenant Governor Carlos López-Cantera has joined congressmen Ron DeSantis and David Jolly in a three-man race. Jolly has polled marginally better than the other two, probably because his campaign scrubs his Wikipedia page to downplay his connections to the Church of Scientology. Famous people: do not edit Wikipedia. Should you pay attention? Oh yeah. Because Florida is so provincial—North Florida is Dixie, Central Florida is old, sunburned Midwesterners, and South Florida is Cuba—candidates often struggle with name recognition outside their home turf, and “Not Sure” still leads all candidates in both primaries. At gunpoint (hey, we ARE in Florida), I bet the Republican incumbent’s abdication of the seat generates just enough uncertainty to make this seat go Democrat. What to know: He is an older Caucasian man running for a third Senate term in Georgia. Should you pay attention: No. What to know: Appointed in 2012 by then-Governor Neil Abercrombie after longtime senator Daniel Inouye passed away, even though Inouye wrote to Abercrombie a few weeks before his death to ask that Abercrombie appoint someone else. But Schatz was Abercrombie’s lieutenant governor, so … yeah. Politics is gross. Challenger(s): No Republican has won a Hawaii election for senator since the Nixon administration. Should you pay attention? Nope. Right place, right time, Brian. What to know: Not pronounced how you want it to be pronounced (“CRAY-po”). Crapo, who is Mormon, publicly purports to abstain from alcohol, a fact that makes his January 2013 DUI arrest hilarious. Challenger(s): Jerry Sturgill, whose campaign website allows you to donate or volunteer, but does not outline any policy positions. Feel free to ask via InMail, though. Should you pay attention? No. Ugh. Before his term is up, President Obama should see if he can pry Vancouver away from Canada with a package of, say, Idaho, one of the Dakotas, and some future draft picks. 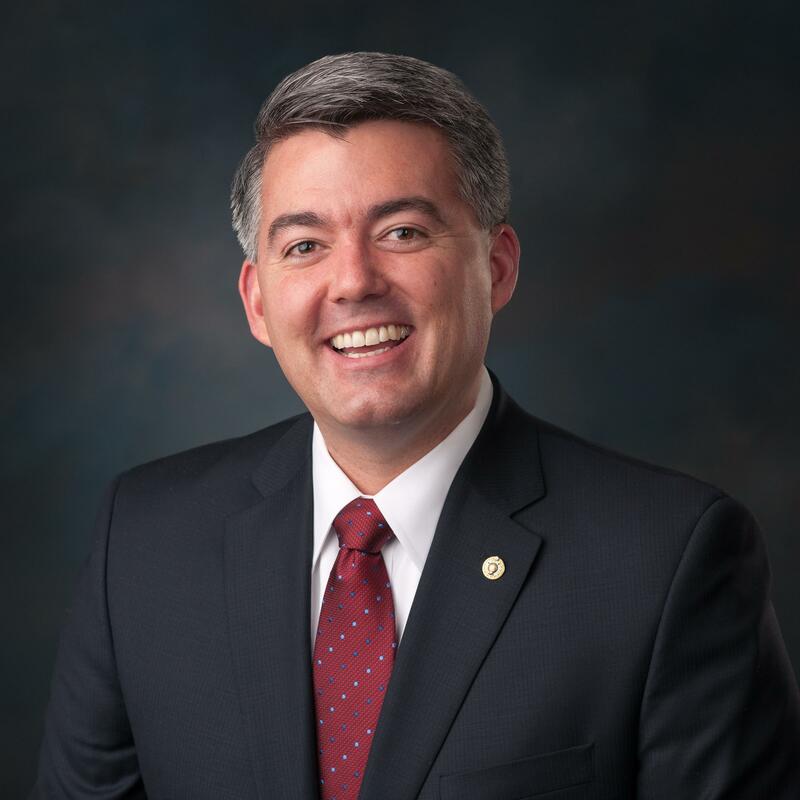 What to know: A moderate Republican, Kirk was narrowly elected to the seat vacated by President Obama despite failing to garner a plurality of the vote. He suffered a stroke in 2013 that kept him away from his duties for a year, but thankfully is back to mostly full health. Challenger(s): Tammy Duckworth, an Asian-American congresswoman and combat veteran who lost both legs in the Iraq War. She handily won the Democratic primary over Napoleon Harris, a state senator better known as the Raiders linebacker traded to the Vikings for Randy Moss in 2005. This has been your mandatory STICK TO SPORTS anecdote. Should you pay attention? Definitely. Kirk is a reasonable guy who believes in climate change and is the only GOP senator to earn an F grade from the NRA. But he is also a blue-state Republican in an election in which his party’s legislative majorities are very vulnerable, and Duckworth is the platonic ideal of a Democratic political hopeful. Look for this seat to flip. What to know: Republican incumbent Dan Coats, who served in the Senate in the ’90s, retired, and then un-retired in 2010 to win his old seat, is again quitting politics. This time for good (?). Contender(s): Congressmen Marlin Stutzman and Todd Young, a pair of generic Indiana white guys who took office in 2010, are seeking the Republican nod. Democrats are running Baron Hill, who lost a Senate race to Coats in 1990 and should expect a similar result this time. Should you pay attention? No. One of Stutzman or Young (they are indistinguishable anyway) will deliver a victory speech on November 8. What to know: Owner of the the most savage Twitter account on Capitol Hill. Challenger(s): Patty Judge, a dairy farmer and former lieutenant governor who high-profile Democrats have already excitedly endorsed in her bid to deny Grassley a seventh (!!) term. Should you pay attention? A little, I guess. Grassley chairs the Senate Judiciary Committee, which means he has the power to end his party’s bananas strategy of refusing to consider Supreme Court nominee Merrick Garland. By casting Grassley as an obstructionist for failing to move the nomination along, Democrats have some great attack-ad fodder. But since he has no viable primary challengers, it unfortunately costs Grassley little to dig in his heels. The controversy is unlikely to hurt him come November. What to know: Former chair of the National Republican Senatorial Committee, which coordinates the party’s fundraising efforts and political strategy. Under Moran’s leadership, the party picked up nine seats and seized control of the Senate in 2014. Challenger(s): Patrick Weisner, who looks like an older version of Corey Stoll’s character from House of Cards. He unsuccessfully ran in 2010 and 2014, and is absolutely going to make it a three in a row this fall. Should you pay attention? Nope. Moran is taking heat from conservative groups for doing things like having the audacity to assert that Garland deserves a confirmation hearing. But Tea Party favorites and potential primary challengers Milton Wolf (President Obama’s second cousin once removed, though I doubt he gets many White House family reunion invites) and Mike Pompeo both declined to give it a shot, so Moran should win comfortably. What to know: Remember him? The guy who kept screaming about warrants in Chris Christie’s face on national TV? He might not be president, but Fourth Amendment fans can rest assured that Rand Paul isn’t going anywhere. Challenger(s): Jim Gray (the mayor of Lexington, not the sportscaster). Should you pay attention? No. The sportscaster would probably have a better shot of winning. What to know: Bid a fond farewell to Republican David Vitter, the only senator with an entire section of his Wikipedia page dedicated to “Hiring of prostitutes.” Vitter announced his retirement back in 2015 after losing a bid for governor, a hilarious embarrassment for a sitting senator but also unsurprising given his, you know, hiring of prostitutes. Contender(s): I wish Bobby Jindal were running so I could take gratuitous, profane shots at him here, but alas. A trio of current and former congressmen, with the state treasurer thrown in for good measure, are seeking the GOP nomination. One of them will beat whichever of the six Democrats in all of Louisiana draws the short straw and runs in November. Should you pay attention? No. Bobby Jindal can still go right to hell, though. What to know: First, some well-deserved shine for retiring five-term Democrat Barbara Mikulski, the longest-serving woman in Senate history. She was awarded the Presidential Medal of Freedom in 2015, but it’s probably the supernova named in her honor that she cherishes most. Contender(s): Since no Republican is winning Maryland (Cook PVI: D+10), the battle to watch is the Democratic primary between representatives Chris Van Hollen and Donna Edwards. Van Hollen is a national party favorite, but he is also a middle-aged white guy in a state with a strong history of African-American civic leadership. In the first election since the murder of Freddie Gray and the genesis of Black Lives Matter, Edwards has smartly positioned herself as a true liberal alternative to Van Hollen’s more mainstream candidacy. Should you pay attention? Yep. Polls are within the margins of error, and debates between the two have been feisty. Maryland voters will be choosing twice on their Election Day (today! polls close at 5 p.m.!) between a traditional establishment politician and an upstart outsider. What to know: Lives up to his name. Challenger(s): Jason Kander, an Army veteran who in 2012 was elected Missouri’s secretary of state at age 32. Kander is your daily reminder that you need to get your life together. Should you pay attention? Not this time. Kander is an exciting young candidate and earned the endorsement of governor Jay Nixon, and Missouri re-elected Democrat Claire McCaskill in 2012 (you may remember her opponent’s dubious claims about how the female body works). Still, this feels like the election where Kander gets beat, learns some lessons, and wins next time. On the other hand, if he wins and becomes the youngest elected senator since Oklahoma’s Don Nickles, forget this ever happened. What to know: Senate Minority Leader Harry Reid is retiring at the end of this term, his fifth. After badly losing a battle with, of all things, an exercise band in early 2015, this is probably for the best. Contender(s): Reid endorsed Attorney General Catherine Cortez Masto as his successor, so little drama there. Republican congressman Joe Heck should best Sharron Angle, a Tea Party activist and Sharia law truther who won her party’s nomination in 2010 and is trying for it again. Should you pay attention? Definitely. Despite hailing from a red state, Reid cobbled together a lengthy career largely on the strength of his significant Senate leadership roles. It’s unclear whether Cortez Masto, who will face a tougher general election opponent than Angle and does not bring Reid’s history of legislative success to the table, will be able to do the same. What to know: Ayotte, a former state attorney general and mother of two who was only 42 on Election Day in 2010, represented a nice change of pace from the, um, more stereotypical Republican candidate. Ayotte is no hardline conservative, but she remains very popular in national party circles and should be a potential vice presidential candidate this summer. Challenger(s): Two-term governor Maggie Hassan, a highly regarded politician herself. Like Ayotte, Hassan is a centrist willing to break party lines. Notably, she was the first Democratic governor to endorse an official freeze on admitting Syrian refugees. Should you pay attention? Absolutely. New Hampshire’s other senator, Jeanne Shaheen, beat her Republican challenger in 2014 even as her party lost control of the Senate. In this already-competitive race, the gigantic “TRUMP (R)” at the top of voters’ ballots might seal Ayotte’s fate. What to know: There is no more delightful title to pronounce in an exaggerated non-rhotic New York accent than “Senatuh Schumuh,” who is seeking his fourth term in 2016. Challenger(s): Wendy Long, who in 2012 lost a Senate race to Kirsten Gillibrand by almost 50 points. If this happened in 2016, the Post would probably just Photoshop Crying Jordan over Long’s face in lieu of writing up the results. Should you pay attention? No. And retiring Senate Minority Leader Harry Reid has already endorsed Schumer to succeed him, so prepare for lots more “Leaduh Schumuh” in your life. What to know: Drives this crumbling 1974 VW Thing convertible around Capitol Hill, so he is zany and fun, if a little cold during the winter months. Challenger(s): Deborah Ross, a former state legislator who generated some buzz when her fundraising efforts outpaced Burr’s during the first quarter of 2016. Should you pay attention? Yes. Two-term Democrat senator Kay Hagan narrowly lost her seat to Republican Thom Tillis two years ago, and the parties turned out a nearly equal number of voters in this March’s primary. Burr probably wins, but that car is gonna log some serious miles on the campaign trail this summer. What to know: Captain of the Senate’s All-Moustache Team. Vaguely resembles Alex Trebek. Challenger(s): Former governor Ted Strickland is attempting a political comeback after losing his 2010 reelection campaign to John Kasich, a man who is ostensibly still seeking the GOP presidential nod despite having as much of a chance of winning it as I do. Should you pay attention? For sure. Polls are dead-even and within their margins of error, and many voters are still opting for “Undecided.” Like New Hampshire, this one might turn on just how unappealing the GOP’s eventual presidential nominee (again, not Kasich) is. What to know: Lankford, appointed in 2014 upon esteemed Constitutional law scholar Tom Coburn’s retirement, is seeking his first full term. Challenger(s): Democrats “Steve Perry” and “Mike Workman,” allegedly. Nary a campaign web site between the two of them, so ¯\_(ツ)_/¯. Should you pay attention? Doesn’t seem like it. What to know: A 6-foot-4 former scholarship basketball player at UCSB. Ron Wyden is dope. Challenger(s): Someone named Mark Callahan, who proudly touts himself as “cut from the same cloth” as Ted Cruz and Mike Lee like it will play at all in Oregon, a state that hasn’t elected a Republican senator since before Michael Jordan’s second retirement. What to know: In 2009, five-term Republican Arlen Specter abruptly switched his party affiliation to Democrat in an effort to avoid a primary challenge. Voters were having none of this shameless carpetbagging and promptly picked then-congressman Joe Sestak over Specter in the Democratic primary. Nice one, Arlen. Toomey, also a congressman at the time, then eked out a narrow win in the general. Challenger(s): Sestak wants a rematch and led the Democratic field in early polls, but the national party has thrown its weight behind Katie McGinty, a former environmental advisor to the Clinton Administration. McGinty scored endorsements from President Obama and Vice President Biden and has chipped away steadily at Sestak’s lead all the way up to today’s primary. Should you pay attention? For sure. Toomey leads both Sestak and McGinty in most general election polls. But his 2010 win is attributable in large part to anti-Democrat sentiment brought by Specter’s shenanigans. With the DSCC and big-name donors involved early and often in the Democratic primary, McGinty might wrest the nomination from the better-known Sestak, and whichever candidate emerges from the primary has a good shot at winning in November, too. What to know: Governor Nikki Haley appointed Scott to this seat after Jim DeMint abruptly quit to head a conservative think tank in 2013. Haley’s choice came despite polls showing that a majority of Palmetto Staters supported the appointment of South Carolina native Stephen Colbert, which makes this a travesty of democracy if there ever was one. Challenger(s): A “Pastor Dixon,” who is apparently not bothering to use his first name for this campaign (it’s Thomas). Should you pay attention? No. Unless Trump or Cruz taps him as their running mate, Scott becomes the first black Republican senator re-elected to a full term since 1972. What to know: Won a respectable 100 percent of votes in 2010. (He was uncontested.) 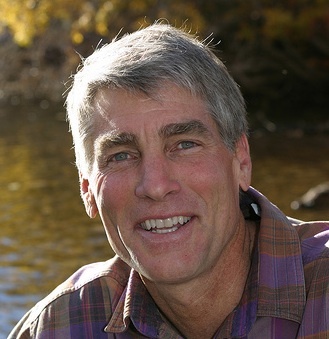 Probably the most handsome senator now that Colorado dreamboat Mark Udall is no longer in office. Challenger(s): One Jay Williams, but apparently not the Duke motorcycle guy. Should you pay attention? Not at all. What to know: Super-cool guy who killed legislation that would have provided Flint with federal money to repair its leaden water lines and provide healthcare to residents. Way to go, Utah. Challenger(s): Jonathan Swinton, a licensed marriage counselor running on the slogan “Washington needs a marriage counselor”; Misty Snow, whose name is just different forms of water; and Jade Tuan Quoc Vo, whose Facebook page is up to six likes. Should you pay attention? You should not. What to know: Patrick Leahy was in The Dark Knight! Heath Ledger holds a knife to his face and everything! Patrick Leahy is great. Contender(s): Nope. Leahy is seeking an eighth Senate term, and by the end of it would be the third longest-tenured senator in history. No one is going to bother. Should you pay attention? Nope. Go watch The Dark Knight again instead. What to know: The four-term senator has a solid reputation for working with her Republican counterparts to get stuff done, famously negotiating directly with Paul Ryan to finalize the Bipartisan Budget Act of 2013. Elsewhere … she tried, I guess. Contender(s): Former state Republican Party chair Chris Vance, who has no publicly stated position on how he will bring the NBA to Seattle where it belongs. What to know: Despite never having held office, this millionaire plastics magnate and Tea Party favorite capitalized on anti-Obamacare hysteria to unseat Russ Feingold in 2010. In a shocking development, he has proved to be very bad at his job since then. His wonderfully dumb take on The Lego Movie—that this popular children’s movie is actually insidious anti-business propaganda—remains my favorite Tea Party non sequitur to date. Challenger(s): Russ Feingold! The three-term former senator is back to reclaim what’s his, happily offering the good people of Wisconsin the chance to say they’re sorry with their votes. Should you pay attention? Oh yeah. Given that the candidates already had one full election cycle to express their disdain for each other, the rematch should be fun. Johnson’s favorable-unfavorable numbers, at 35-42, are alarming for a reelection hopeful, and Feingold leads early polls. If Johnson loses, at least his future as a cantankerous old film critic appears bright. That’s it! Remember to go vote in November.